The RCN Bulletin Jobs Fair in London on 10th & 11th September was a huge event open to nurses of all levels either looking for a new job or to develop their career. 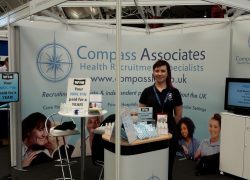 Compass Associates were exhibiting for the first time at the London Jobs Fair alongside over 80 healthcare providers, employers & agencies. 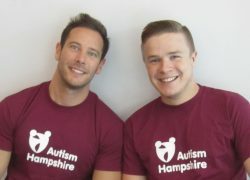 On Saturday 29th August, Ben Cotton and Ricky Harding of our Care Home Division scaled the dizzying heights of Portsmouth’s Emirates Spinnaker Tower for Autism Hampshire.